This fall, we have been working to put Georgia MGEV projects on the the Georgia map. Literally! Since we started the mapping project in late August, we have had more than 100 projects logged in to the site. 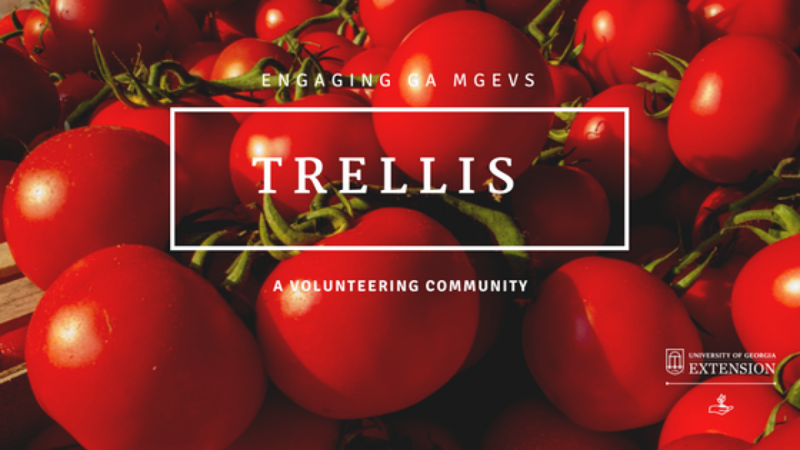 Though we have MGEV programs in nearly 60 counties, and more than 1400 active MGEV projects in MGLOG, only 26 counties are represented in the projects that have been shared. We want to be sure to hear from all county programs and their projects. 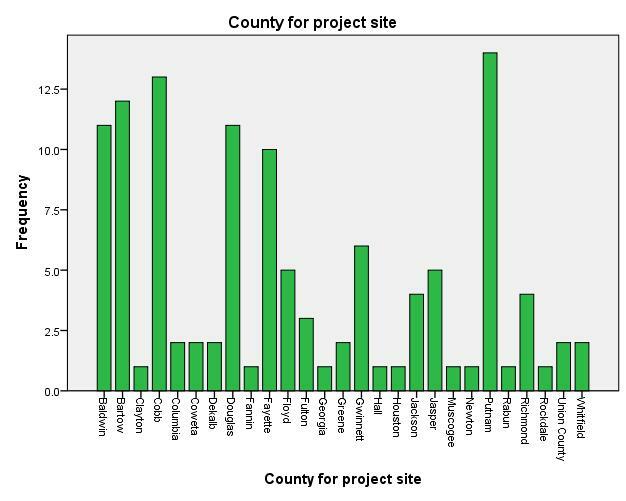 If your county isn’t shown on the chart at the left, talk to your project coordinators. They can easily go to the mapping site and enter project information. The site will be live through the end of the year. We shared the details of how to map projects on this recent Trellis post. One of the benefits of mapping our projects is the ability to describe how these projects contribute to consumer horticulture programming. We are able to group projects into similar themes so that we understand how MGEVs are teaching our neighbors about gardening. This fosters the development of new tools, such as timely publications, web tools, branded resources, and even projects. So far, we know that community projects dominate MGEV project offerings, followed by youth horticulture projects. It will be interesting to follow the patterns and trends in these projects as more are shared this fall. You are also identifying key issues addressed at your project sites. This will help us tie our work back to the critical issues facing landscapes and gardens and really put into perspective the valuable education you are providing. It is really important that I understand what issues MGEV projects are addressing so that resources are available to support local programming. You are also sharing keys to success for many of these projects. Per your request, we have been sharing those tips during Thoughtful Thursdays in September and October (you can catch the archives via the links on your MGLOG homepage). We’ll have another project sharing session in December. In the meantime, if your project hasn’t been mapped, be sure to add it to the project! We want to include it!